I liked the friendly, family atmosphere, flexibility of the hosts, their availability. I got a bottle of wine from the hosts, fresh eggs from their farm, lemons that grow in the garden and honey produced in their farm. 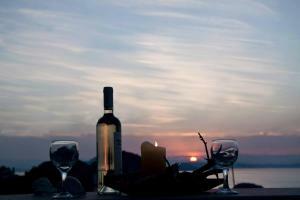 They also recommended us nice restaurants and bars in the island. Very nice people! Lovely, spacious and quiet apartment equipped with a good range of furniture and utensils. Kelly and her family were very warm, welcoming and generous - offering us home made food and wine which was lovely. 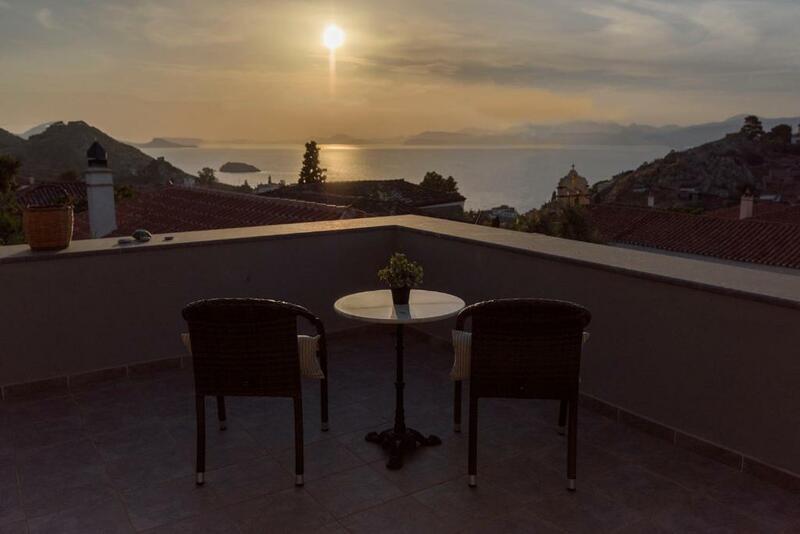 The views of the sea from the apartment are very special and we particularly enjoyed sitting out on the balcony for breakfasts and lunches. Great holiday. Our hosts were fantastic keeping in touch and sorting out details like the mule transfer which I would not otherwise have known about. Great views, quiet location, good wifi and aircon. Lovely people , beautiful, comfortable and spacious home and beautiful island. We will be back. C'était une maison de style ancien mais modernisée et très confortable: beaucoup d'espace, une terrasse et une belle situation dans les hauteurs d'Hydra. 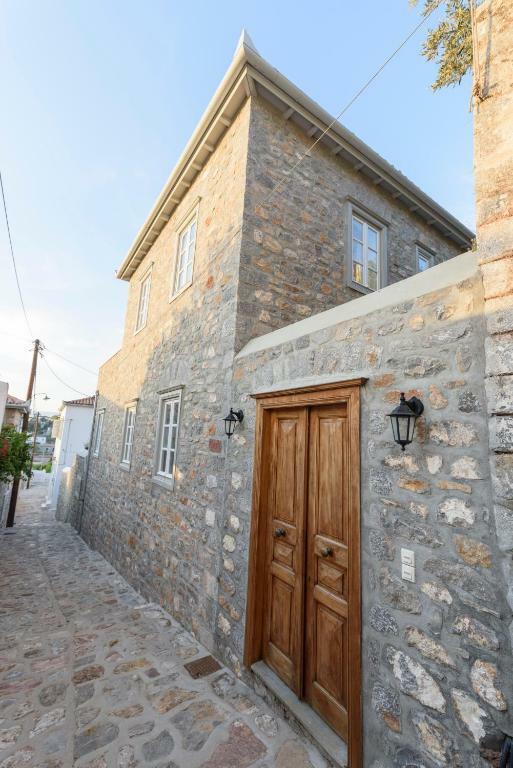 Lock in a great price for Anassa Traditional Stone House – rated 8.7 by recent guests! 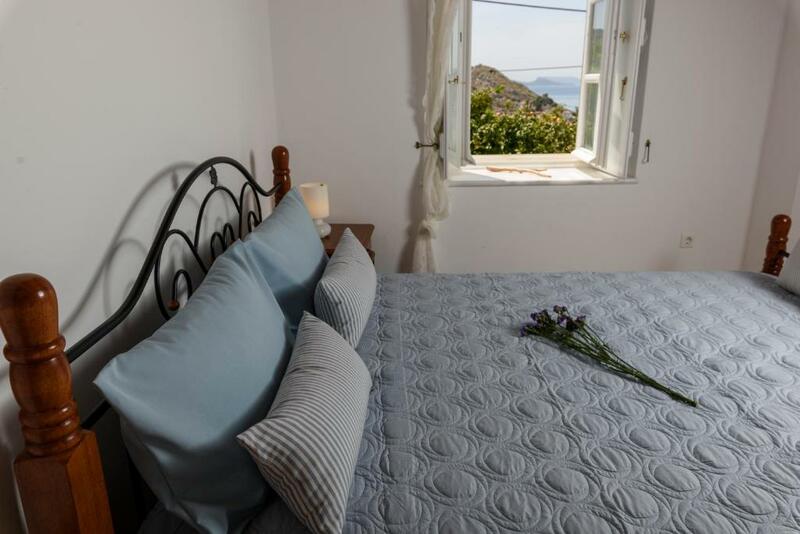 Located in the scenic island of Hydra, Anassa Stonehouse offers stone-built houses with furnished terraces and a large garden. It is located 1,650 feet from the port and it is within walking distance to the town center. 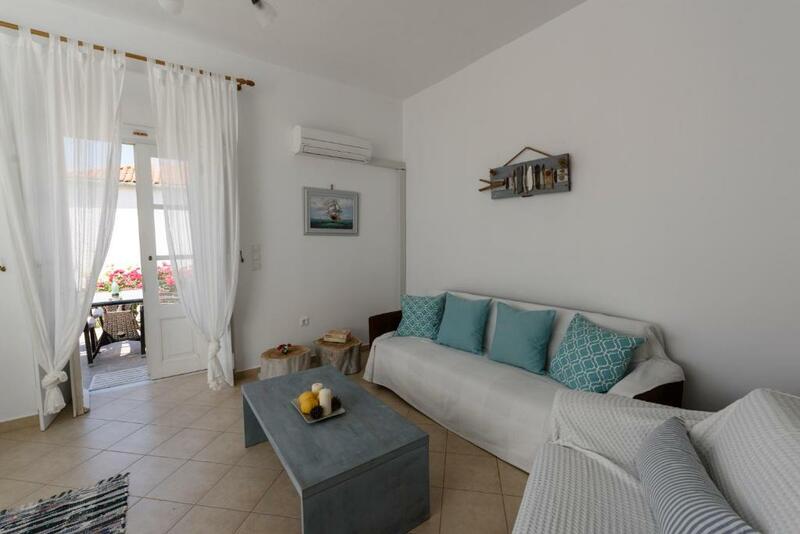 The traditional houses in Anassa are split in 2 levels and consist of 2 separate bedrooms with iron beds, 2 bathrooms, a fully equipped kitchen with wooden dining area and a living room with fireplace. You can enjoy sea and mountain view from the room. The historic George Kountouriotis Manor is only 1,300 feet away. In the center of Hydra Town, you will find taverns, seaside cafes and mini markets. When would you like to stay at Anassa Traditional Stone House? Stone-built house with furnished terrace offering sea and mountain views. 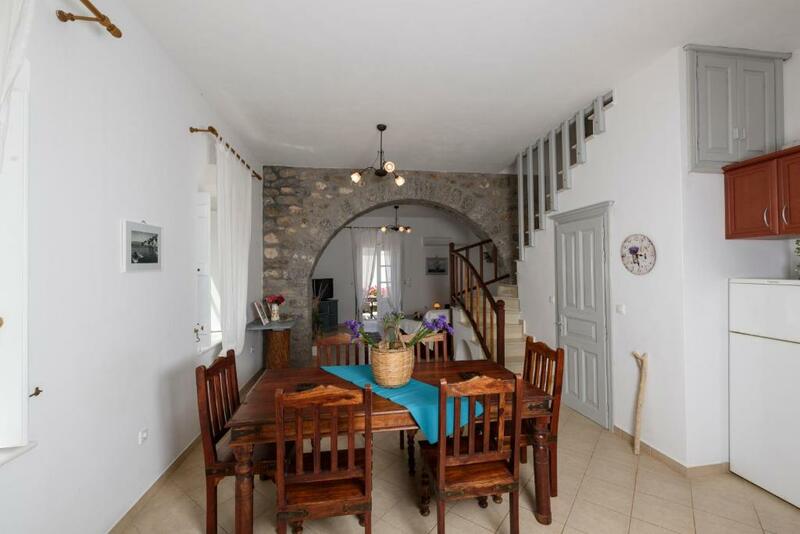 Split in 2 levels, it consists of 2 separate bedrooms with iron beds, 2 bathrooms, a fully equipped kitchen with wooden dining area and a living room with fireplace. 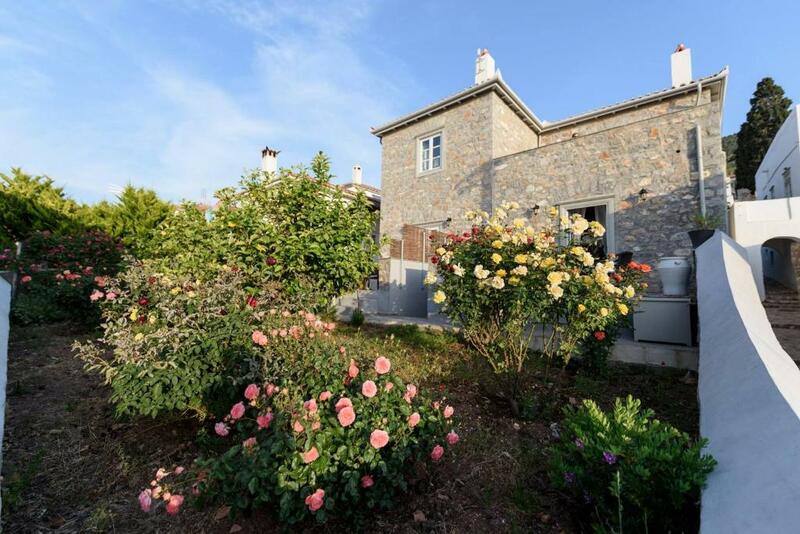 The house is in a beautiful quiet neighborhood with wonderful view near supermarkets, the mountain and the sea. House Rules Anassa Traditional Stone House takes special requests – add in the next step! Anassa Traditional Stone House accepts these cards and reserves the right to temporarily hold an amount prior to arrival. Please inform Anassa Traditional Stone House of your expected arrival time in advance. You can use the Special Requests box when booking, or contact the property directly using the contact details in your confirmation. Feather pillows and the lounge triggered asthma for my son (but no one else ). Only minor issues - the matresses and pillows were hard although we realise this depends on individual preference. 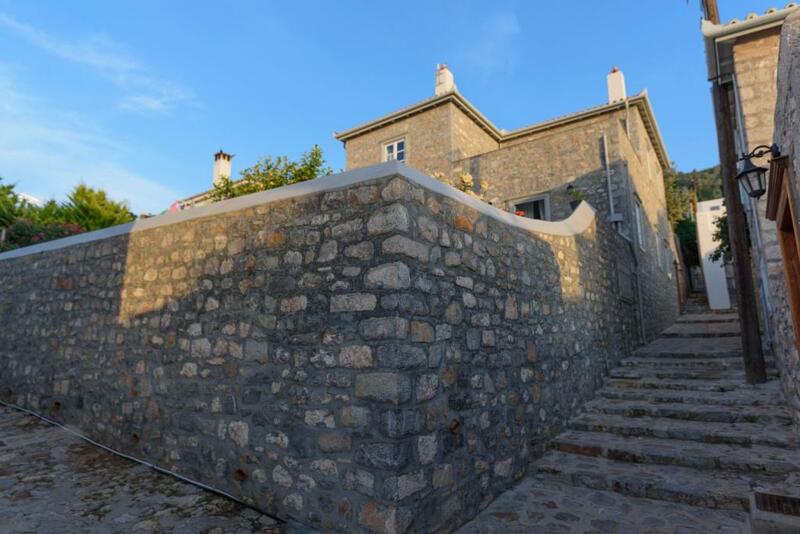 The apartment is situated a good walk (via steps) from the main town/harbour and although we were aware of this prior to booking, it is worth noting that it can be a hot and sweaty ascent when the sun is high. The property was further away from the port up hill than I had appreciated. A lot of steps and not close to town (but an interesting walk).